Best New Virtual World Games of 2016 and 2017 Article - Virtual Worlds Land! 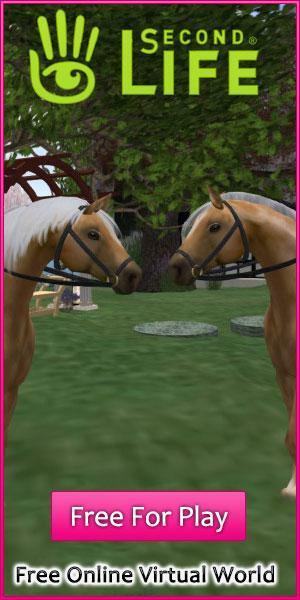 Rate this Article Looking for a new social virtual world to play? Well, we've compiled a list of the latest virtual world games that we highly recommend. Do check them out! Over the year of 2016 and within these few months of 2017, we’ve seen a noticeable spike as new social virtual world games made the shift over to virtual reality (VR) – the so-called next generation of gaming. Even the company behind Second Life, Linden Labs, agreed that virtual reality is the next step for virtual world games and has been working on their brand new, built-from-scratch VR virtual world game that’s codenamed “Project Sansar”... though it’s now known simply as “Sansar”. Granted that virtual world games aren’t exactly growing like mushrooms after a heavy rain, there are quite a few notable new and free-to-play virtual world games that have had hit the market. Today, we’ll be recommending some of the best we’ve found for the year 2016 and 2017 (until April at least). 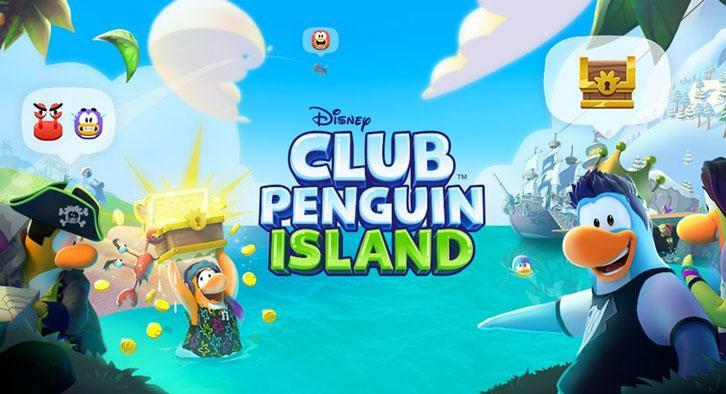 The biggest and most hyped-up social virtual world game is unsurprisingly the successor to the insanely popular and completely kid-friendly game, Club Penguin – Club Penguin Island. In fact, the rather sudden closure Club Penguin may have even fueled further interest in Club Penguin Island and that’s actually a pretty good thing. Why? Well, Club Penguin Island is definitely no “Club Penguin” – it is so much better! The game has much nicer 3D graphics that will put most virtual world games on Android and iOS to shame... despite being labelled as a “kids’ game”. Club Penguin Island itself is incredibly fun as well, especially if you’re a member and will have access to every aspect of the game. Although specifically designed with children in mind, nostalgic young adults could still have a pretty fun time experiencing the game by playing its adventure quests too. So, if you haven’t checked out Club Penguin Island yet, you most definitely should! It’ll bring out the child in you, that’s for sure! If you’d rather opt for a social virtual world that’s more mature and you happen to be a huge fan of the latest in virtual reality technology, then vTime is perhaps the best social virtual world at the moment. Released early last year, vTime has made waves as it apparently has beaten Second Life to the title of being the first cross-platform VR virtual world game. In this game, you can have fun chatting with your friends and family in any of the game’s 19 picturesque locations. Chatting feels natural here since the game provides an immersive 3D surround sound effect that gives you the feeling of “being actually there”. Not to mention, the game also touts its in-depth avatar customization as well as the option to share your normal or 360-degree images to the people you hang out with. vTime has a solid team to support its improvement and development as well, with new features and locations being added in on quite a constant basis. Best yet, you can play vTime even on your non-Samsung devices. You don’t need to go out of your way to buy a high-end Samsung phone and a GearVR just to play. Instead, as long as your device is good enough to run on a Google Cardboard or any VR headset that’s similar, you can play vTime. For other VR-based virtual world games, you might want to check out Altspace VR and the most recent, Complex VR as well. They are pretty awesome in their own respective rights. It’s already pretty rare to see a social virtual world game on Steam, let alone a new online virtual world game that has a pretty cool theme. 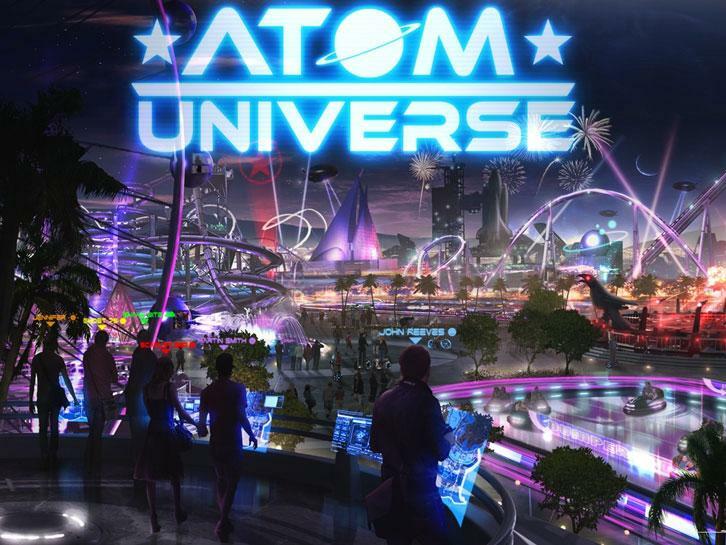 With a virtual world that’s designed like an amusement park, you can enjoy going on various rides with your friends, and even work the dance floor like there’s no tomorrow in Atom Universe! Dancing is a pretty in-depth activity in Atom Universe mainly because you are given so many different dance styles to mix and match from. Of course, you can also customize your avatar’s looks to fit the music the DJ is playing while dancing up a storm. For players who enjoy playing mini-games cooperatively or in multiplayer mode, you can choose to either bowl a couple of frames at the Bowling Alley or play some arcade and carnival games at the Arcade Plaza where the dance floor happens to be located in as well. There’s even a bar at the Plaza where you can just order virtual drinks and hang out with your buddies. For more private moments with close friends, you could also invite them over to your private space to just lounge around and chill. So, this ends our list of the top 3 new social virtual world games that we highly recommend. If you get the chance and have the time to try them out, then you definitely should. They are as good as virtual games get!